M Resort in Henderson, Nevada has been the flagship sportsbook for CG Technology in Las Vegas for a decade. Their 10-year lease on the sportsbook has expired and will not be renewed. Penn National Gaming will shift operations sportsbook at M Resort to their nationwide partner William Hill. The changeover from CG Technology to William Hill at M Resort is pending regulatory approval. Don’t expect much, if any, opposition since the Nevada Gaming Control Board (NGCB) has constantly approved William Hill’s expansion in the state. The NGCB recently approved William Hill to operate numerous sportsbooks owned by Golden Entertainment casinos throughout Nevada. That deal includes a new sportsbook at the Stratosphere in Las Vegas along with more sportsbooks in Las Vegas, Reno, and Laughlin. William Hill expects to assume operation of the M Resort sportsbook in May 2019. When they take over operations at M Resort, William Hill will operate 115 sportsbooks in Nevada. Their growth in Nevada should continue by at least one new casino in the future. Last year William Hill signed a deal to operate sportsbooks in Penn National Gaming casinos in the U.S. Penn National also owns Tropicana in Las Vegas. This casino happens to be home to another CG Technology sportsbook. While none of the companies have commented on the current lease, it wouldn’t be a surprise to see William Hill take over operations at their partner’s casino. CG Technology might be in danger of losing more sportsbooks in Las Vegas. In addition to the possible loss of the Tropicana, they could lose sportsbooks at the Hard Rock, Palms, and Cosmopolitan. Palms was sold to Station Casinos in 2016. The Las Vegas casino operator oversees the sportsbooks in all of their other locations. The Cosmopolitan received approval to operate their own sportsbook and have sued CG Technology to end their lease early. It wouldn’t be surprising to see either or both casino operators take control of their sportsbooks. Lastly, the Hard Rock was sold to Richard Branson and a group of investors last year. The Hard Rock will be renovated to become Virgin Hotels Las Vegas. Warner Gaming will manage the casino for Virgin Hotels Las Vegas when it opens in 2020. They haven’t revealed details on whether they will continue with CG Technology as the sportsbook operator. Ironically, CG Technology could expand into another state. Earlier this year they announced that they will offer online and mobile sports betting in New Jersey later this year with a new Meadowlands Racetrack partnership. William Hill recently reported earnings for 2018. According to their report, they had a 32 percent share of the sportsbook market in Nevada. Earnings in Nevada increased by more than 10 percent for the sixth consecutive year. Earnings and share of market should continue to grow in 2019 since they’re already operating more sportsbooks in the state. William Hill is the only U.S. sportsbook operator that operates in all seven states that offer legal sports betting. They have access to operate sportsbooks in 17 states and expect to see 15 of those states legalize sports betting in the next two to three years. 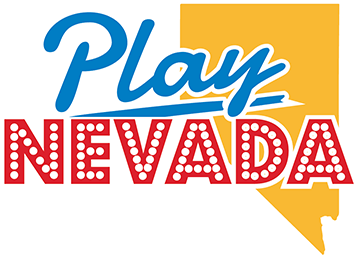 The future looks bright for William Hill in Nevada and the rest of the U.S.